Coming in 2017 and perfect for team building events, the ADRENALATOR!! 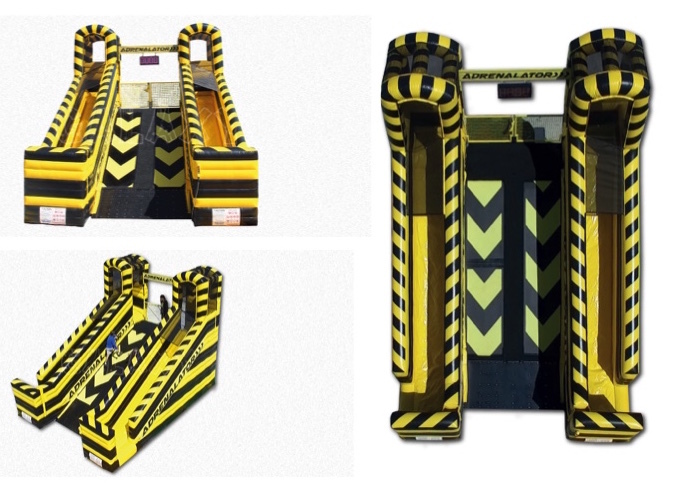 This one of a kind race course lets participants compete as they run up a 15’ long moving treadmill at a 27º incline, and then race down via a 15’ long slide. The Adrenalator is an event activity addition that will get your heart racing and the adrenaline coursing through your body. It can be enjoyed by anyone over 42″ (107cm) tall, which means it’s perfect for event family participation events. The Adrenalator is a brand new experience like nothing guests have seen or tried before. Click HERE to connect with us for details and availability to add this new fun to your event!